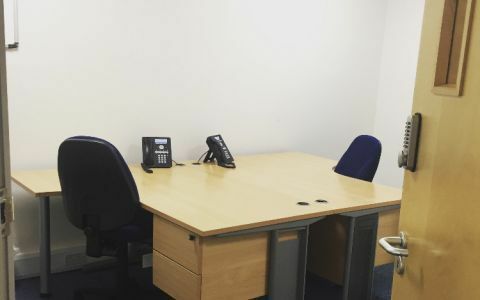 The Bromley serviced offices are housed within a modern business centre located a short 7 minute walk from the centre of town. On entering the building clients and their guests are welcomed by a manned reception with waiting area. The reception staff can cater to a range of business services including telephone answering, secretarial support and taxi, hotel and restaurant bookings for your clients. The onsite management team are also available on hand to provide support and advice. The serviced offices are fully equipped with the latest in IT and telecom technology with Cat 5 cabling installed throughout, free hi speed wireless internet access, plug and play local area Network, firewall protection and a state-of-the-art IPLDK telecommunications platform. Clients can enjoy 24 hour access to the building, which is protected by 10 fully operational CCTV cameras, a stocked kitchen providing complimentary refreshments and onsite parking (available at cost). Other business services include a postage service including collection, franking and distribution, printing, copying, faxing and scanning. Daily cleaning of the offices and onsite utilities and building maintenance are included in the office rental price. The Bromley serviced offices are well located just a short 7 minute walk from the centre of town and local amenities. The Bromley South Railway Station is under a mile away.